Shin Bet says terrorist gave himself up, is currently being interrogated for assault on a soldier at Bet El guard post. The terrorist responsible for clubbing and stabbing a soldier from the Netzach Yehuda-Nahal Haredi Battalion on Friday has given himself up to security forces. The Shin Bet internal security service says that the terrorist is currently under interrogation for his Friday morning assault on Naveh Rotem. The terrorist had snuck up on and attacked Rotem while he guarded the village of Bet El. During the ensuing fight, the terrorist hurled a rock at the soldier from close range and stabbed him. Rotem's family said earlier that "he was injured on Friday in a clash with a terrorist after a brave struggle, and Naveh wishes to convey to the people of Israel that we are stronger than our enemies". The hospital said that his condition is stable and improving and is now defined as moderate. Rotem is conscious and speaks to the family. His family also said that "we would like to pray and do good deeds for his speedy and complete recovery with all the other wounded". 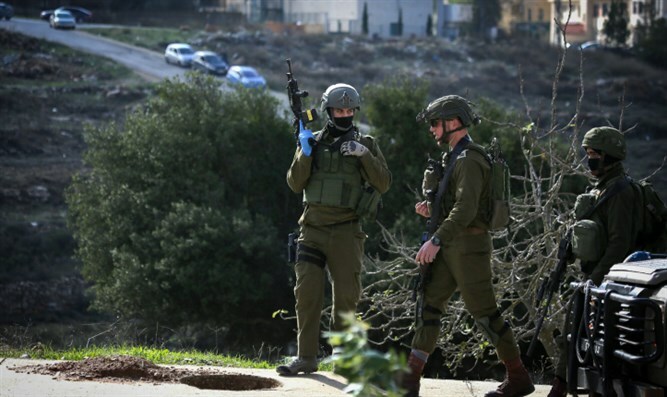 Meanwhile, the soldier wounded in Thursday's shooting attack at Givat Assaf continues to fight for his life after being shot in the head. He remains unconscious and in critical condition.